Includes all inserts and manuals in perfect condition. Trending at $25.46eBay determines this price through a machine learned model of the product's sale prices within the last 90 days. Check out the large REAL PHOTOS(7) to see exactly what you will get! First photos shows everything. Tap on a photo or hover over photos with mouse to see close detail. BEFORE BUYING AN ITEM, CHECK FOR REGION COMPATIBILITY. VERY GOOD: Minor wear consistent w/ lesser use. Lighting may hide certain defects such as tears, scratches, blemishes, dents, etc. We will try our best to properly detail condition using both PHOTOS AND TEXT. 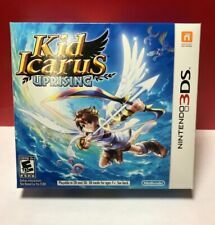 Kid Icarus Uprising 3DS OUTER BOX, STAND, CASE & MANUAL ONLY!! No GAME/Nintendo! 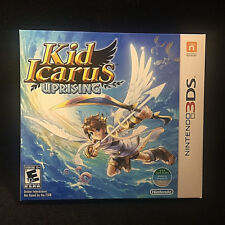 Kid Icarus Uprising 3DS OUTER BOX, STAND, CASE & MANUAL ONLY!! No GAME/Nintendo!. Condition is Good. Shipped with USPS First Class Package. This is the outer box , stand , case & manual for kid Icarus uprising on the 3DS. The box has some cosmetic issues but still intact. The inserts are still inside the box. The stand is new and never used still in its plastic. The case and Manual are mint condition but NO game is included. THANK YOU FOR LOOKING ! Nintendo 3DS Kid Icarus Uprising Video Game CIB W/ AR Cards! [ Region Code ]. DVD --- Region 2. Blue Ray --- Region A. In the multiplayer, and the world's people, and next to the people, Confused battle can enjoy character customized. collected, compared to, identify! KID ICARUS: UPRISING. This is mint. 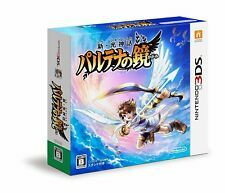 Kid Icarus Uprising Limited Edition 3DS GAME PAL *BRAND NEW! * + Warranty! Kid Icarus Uprising. Limited Edition Nintendo 3DS Stand. For use with Australian/PAL Nintendo 3DS systems. Format :PAL Version (Covers may vary). You need to leave a note during checkout to specify a sealed copy otherwise a random one will be picked up and sent to you. Includes a stand, and all contents as stated in the photos. Refer to photos, as it is of the actual item! All prices are placeholders.